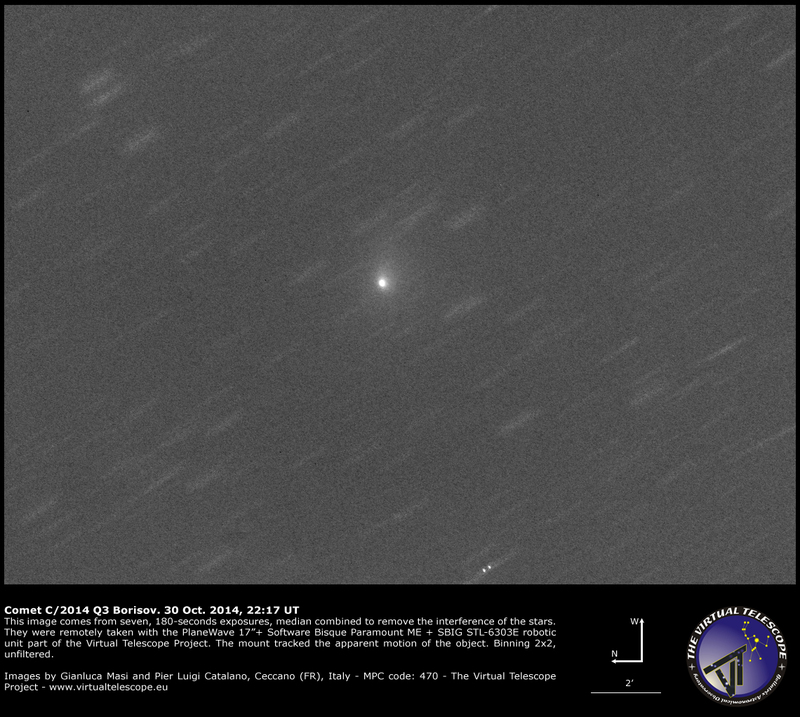 On 30 Oct. 2014, we observed comet C/2014 Q3 Borisov again. The image above comes from seven, 180-seconds unfiltered exposures, remotely collected with the PlaneWave 17″+Paramount ME+SBIG STL-6303E robotic unit part of the Virtual Telescope Project. They were combined using a median technique, to limit the potential interference of faint stars. The telescope tracked at the apparent rate of the comet.